Failure to deal with anger in marriage is one of the most prevalent contributors to the demise of marital relationships today. Recent research also demonstrates that it is a leading threat to physical health, predisposing adults to heart attacks (Circulation, 2016). The recognition, understanding of its complex origins and resolution of this powerful emotion are important for the health and happiness of marriages, children, and families. It’s not whether we get angry, but what we do with it that matters. It’s how we handle the angry emotions we feel toward our spouse when it occurs. Are we going to allow our anger to spew out and hurt our spouse emotionally. Or are we going to learn to find ways to express ourselves appropriately – ways to express our anger in appropriate ways that enables our spouse to feel safe amidst the upsets that inevitably happen in every marriage from time to time? The inappropriate expression of feelings in marriage can be a major source of marital distress and unhappiness. Recognizing and managing this unruly emotion can greatly enhance the degree of security and happiness that you and your spouse achieve in your marriage. The impact of angry, turbulent marriages is substantial: for example, research demonstrated that unhappy marriages were a risk factor for depression and were associated with a 25 fold increase relative to happy marriages. Similarly, researchers have found a 10-fold increase in risk for depressive symptoms associated with marital discord. Marital conflict and anger are also associated with increased blood pressure, impaired immune function, and a poorer prognosis for spouses with coronary artery disease and congestive heart failure. A 2009 study revealed that spousal anger is a contributing factor to depressive illness in the other spouse. “The more hostile and anti-social behavior exhibited, the more depressed the spouses were after three years.” (Proulx C. et al., 2009). In order to prevent serious conflicts in marital relationships, it is essential to determine whether existing anger is appropriate, excessive, or misdirected. To make this distinction, it is essential that the spouses understand the nature of anger and develop the ability to express honestly disappointments and stresses which lead to angry toward a spouse in a healthy manner. Just as there are two types of lipoproteins in the body, one of which is healthy (high density) and one which is damaging (low density), so there are two basic types of anger in marital relationships -one healthy (appropriate anger) and one damaging. For the health of the marriage, it is essential that the excessive anger be eliminated. 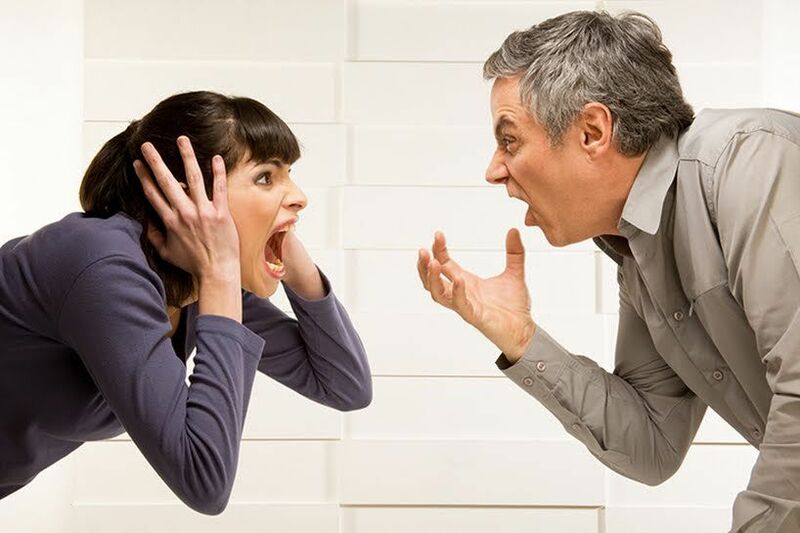 If you are willing to take an honest look at yourself, come to grips with the reality that anger is an issue in your marriage and you are willing to work at it, you can overcome this maritally destructive emotion and discover the joy of peace and harmony in your marriage and family. I am a clinical psychologist based in Somerset-West, Western Cape. If this article is of value to you and you realise that a big part of your unhappy marriage is related to anger issues, you are welcome to contact me in order to discuss possible sessions to work towards a happy and safe marriage for you and your partner.